What is Shop Your Way? Shop Your Way is an online shopping experience that allows users to shop, discover new products, find great deals and get rewarded for everything they want. 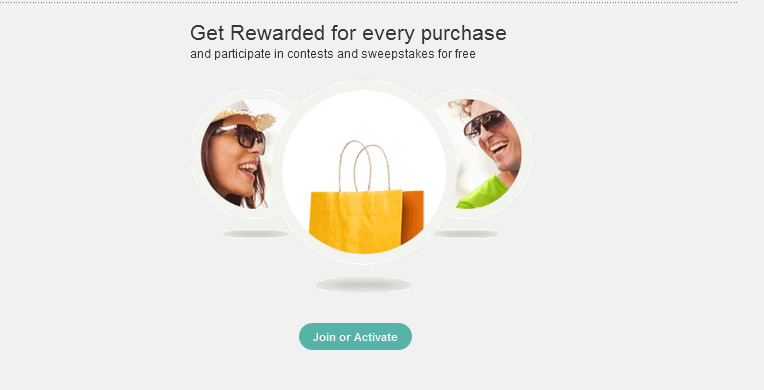 With Shop Your Way users earn points on the items they buy and use these points towards future purchases. Catalogs provide a way to collect all the things you want and save them for later in one place. By adding items to catalogs, engaging with products using the social icons and following new people, users will receive suggestions for new and exciting products tailored to their interests. If you love to shop, discover new products, find great deals, and get rewarded for everything you want, Shop Your Way has you covered. I have more than one Member Number. What do I do? It appears you were enrolled multiple times. Call the Member Care Center at 800.991.8708 or email us at info@shopyourway.com. This is the only location with the ability to merge accounts.When you receive a member number for your combined account, go to your account Settings and click on Edit next to Shop Your Way. Type in your new member number. My account shows the wrong amount of Points. What should I do? 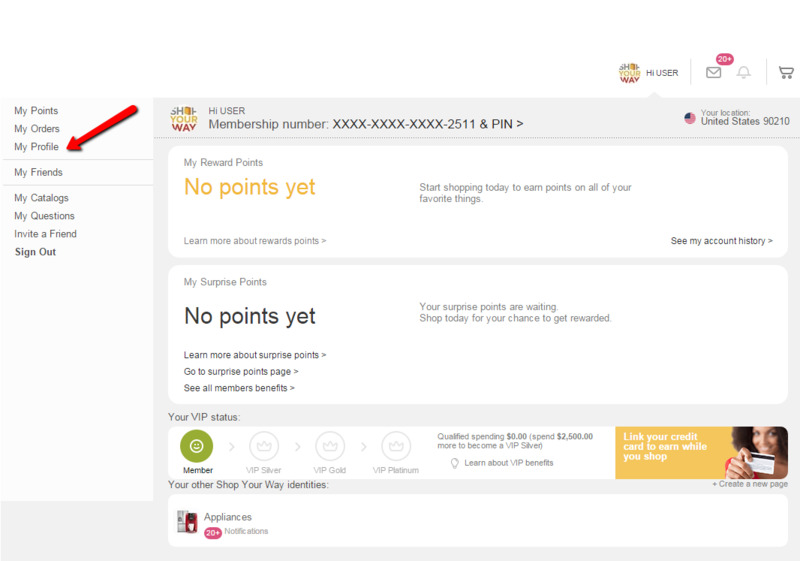 If you bought something at a participating store and the Points don't show up, click on the your username at the upper right corner of the screen, and then click on My Points from the left menu to display all of your most recent store purchases. How do I use my PIN to redeem Points? If you are redeeming $25.00 or under in Points, you don’t need a PIN to redeem in store if you have a valid ID. If you redeem more than that, you will be asked to provide your PIN as a verification. To retrieve your PIN and Member Number, click on your username at the upper right corner of the page and then click on "Membership number & PIN " . If you have a mobile number attached to your Shop Your Way account, all you need to do is text PIN to 95990. If you are unable to view your points and membership information, you probably need to activate your account. In order to do so, click on your username at the upper right-hand corner of the page,then click on Join or Activate. In the pop-up window, please enter your Member Number. Where can I change my PIN / Member Number? You can also edit your PIN and membership number from your Account Settings page. In order to do so, go to your account setting by clicking here: Account Setting page and click Edit next to PIN \member number. You may change your personal information such as your Name,Email address, Phone number ,Home address,etc. by clicking on your name (or profile picture on the top right) and then click on “My Profile”. In order to change you email address select your name (or profile picture) located on the top right of the page and click on “My Profile”. Choose "Settings" --> "Account" and you will have the option to edit your email address. You can edit your profile at any register; just make sure you know your PIN! To edit account information, call the Member Care Center at 1.800.991.8708. Points are updated on a weekly basis and usually take 7 – 10 days to appear online or at the register. If you recently bought something at a Sears or Kmart store and didn't use your account to get Points for it, there is an easy fix – you can still get them! Click here to fill out this form and retrieve your Points online! For purchases made at mygofer, Sears Auto Centers, Sears Home Services, Sears Grand, Sears Essentials, Sears Hardware, Sears Authorized Hometown Stores and Sears Outlet, Sears.com or Kmart.com, please call Customer Service at 1.800.991.8708 to add these transactions to your account. *Please note that not all items purchased qualify for Points. See Terms and Conditions for details.